This is a reposting of episode #7 of the “My Digital Life Show with Rob Greenlee” from Tuesday, July 16th, 2013. This episode topic is about “The Future of Radio and Podcasting from 2005 to 2013 with Radio Expert/Consultant Mark Ramsey. I ... See More interviewed Mark Ramsey back in 2005 for my ITConversations Network “WebTalk with Rob Greenlee” show. 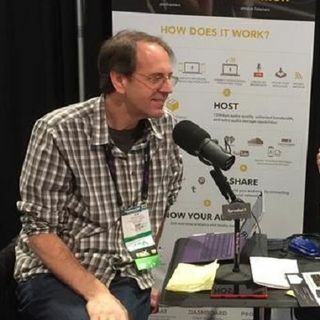 Back then, we both talked about the potential of podcasting in the face of shrinking radio audiences and how major celebrities will lead to audience growth in podcasting in the early days of podcasting. Here is a link to that full interview from 2005. I replay a key 9 minutes from that interview in the current episode here.